Free pair of single vision glasses, distance, reading or tinted. 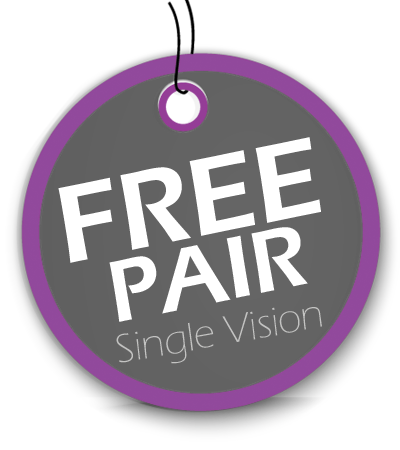 FREE PAIR of single vision glasses. Free pair from a selected range of frames and lenses. Ts& Cs apply. Welcome to IRVINE OPTOMETRISTS Specialising in all areas of Eye care. Full and comprehensive eye examinations, checking your eye health and your optimum visual correction. Extensive range of designer spectacle frames from world renowned manufacturers. Choose a frame and we can make them into prescription sunglasses so you can enjoy the sunshine with optimum vision. The perfect combination of spectacle frame and quality lens to suit your requirements. The lens is what corrects your vision. We supply the highest quality lenses currently available. We fit all types of contact lenses including disposable, toric, presbyobic and gas permeable. During a comprehensive eye exam, your Optometrists does much more than just determine your prescription for eyeglasses or contact lenses. He or she will also check your eyes for common eye diseases, assess how your eyes work together as a team and evaluate your eyes as an indicator of your overall health. In Scotland your eye examination is paid for by the NHS under the term “General Ophthalmic Services” (GOS). It is more extensive than the rest of the UK because the government in Scotland recognises the importance of the eye examination, performed by Optometrists and how it can compliment the more specialised care offered by hospital eye departments. Buy a pair of varilux spectacles from us and we will offer you a free pair of single vision glasses, distance, reading or tinted. Call or visit our practice today. *Please NOTE the offer is not transferable. 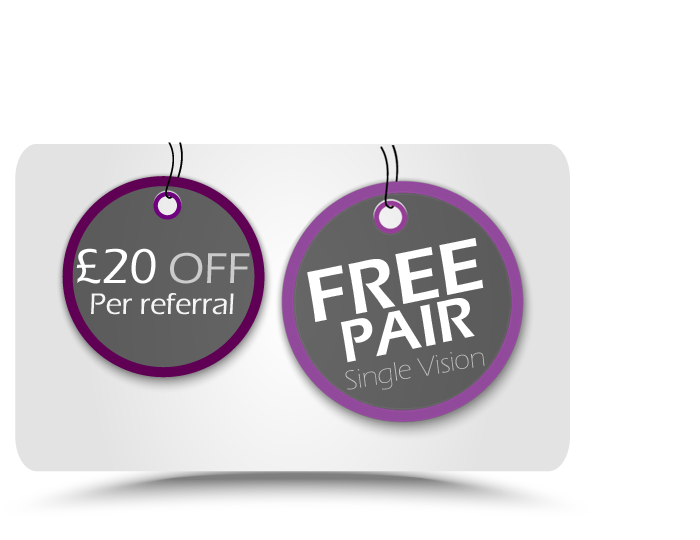 If you recommend another person to come to Irvine Optometrists, we will offer you £20 off your next spectacle purchase from us. 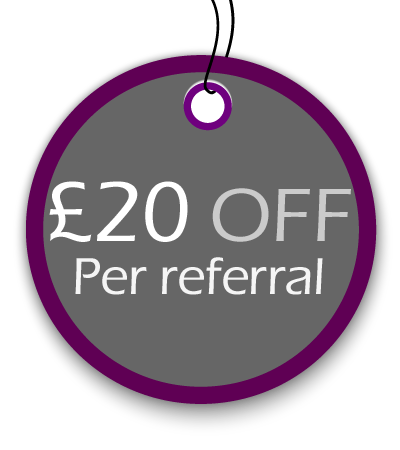 Every additional recommendation will attract a further £20 discount for you. "I’ve been going to McAlisters Opticians for years now, wouldn’t go anywhere else. Make you feel so comfortable and offer such a personable service. " "Love my new glasses and sunglasses. " 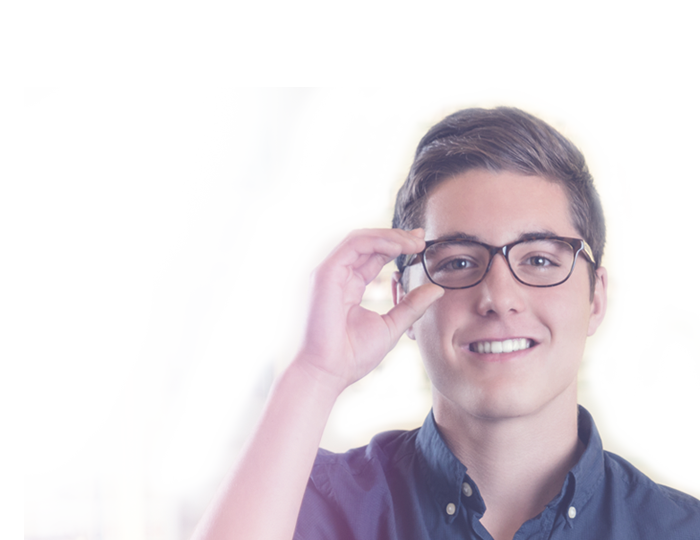 "Great and friendly service, can’t recommend McAlisters Opticians enough." "Professional and genuine company, always go the extra mile and make me feel right at ease. " Irvine optometrists has been in existence for 35 years, originally owned by Marion Irvine and now by Sandy McAlister. At Irvine Optometrists we pride ourselves in always endeavouring to provide the best possible service for every individual. We are now on Facebook and Twitter.